Payment Accepted On Moneris But Not Confirmed in Vend – How can we help? In some situations, you may run a sale through Moneris which is accepted, but Vend does not receive the confirmation on your iPad. This usually occurs because of poor WI-FI connectivity between your Moneris terminal and your iPad. In situations like these, the Moneris terminal will display an error such as Check ECR Connection. You will need to run a Ping test from your iPad on your local network to check the quality of the connection between your iPad and your Moneris terminal. To do this, check out this article. As you can see from the above, there are a few drops in the connection (Request timed out) and the response times were not very good. An example of this is anything in the 100s, e.g. 100ms. 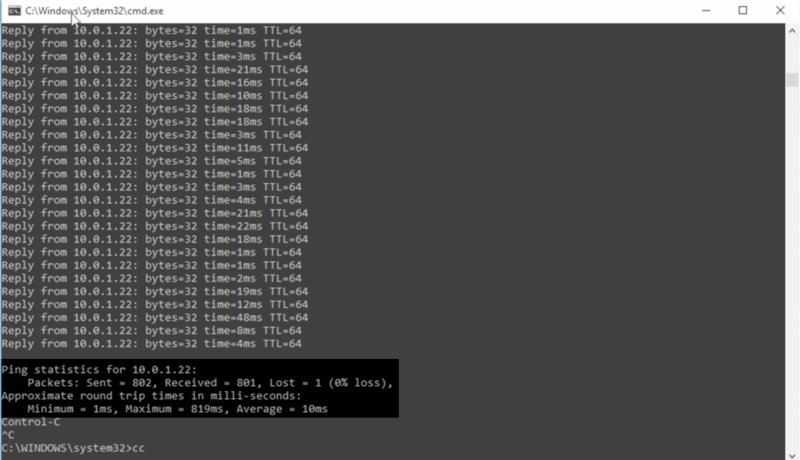 In total there was a 9% packet loss with the maximum response time reaching 428ms. The Response Times here are much better, the highest being 819ms and there is no packet loss (0%) at all. From the above, it is clear why the Moneris terminal was able to receive the payment from Vend but struggled to send it back to Vend on the iPad. This was because of iPad is the device with the erratic response times. This makes sense as the Moneris terminal is using a dedicated LAN connection to the router, whereas the iPad is connecting purely to Wi-Fi, relying on the router's signal strength. As the issue has now been identified with the internal network connection, we suggest reaching out to your local IT contact or your Internet Service Provider. In the meantime, you should make sure you have a dedicated Wi-Fi connection and are not sharing the access points with other units. You can also try moving the router much closer to your iPad and payment terminal (if possible). If you continue to have trouble with your payments on your Moneris terminal, contact our Support team, who will be able to help you further.